Your vehicle’s suspension system affects its stability on the road, and is responsible for providing you with a smooth and comfortable drive. 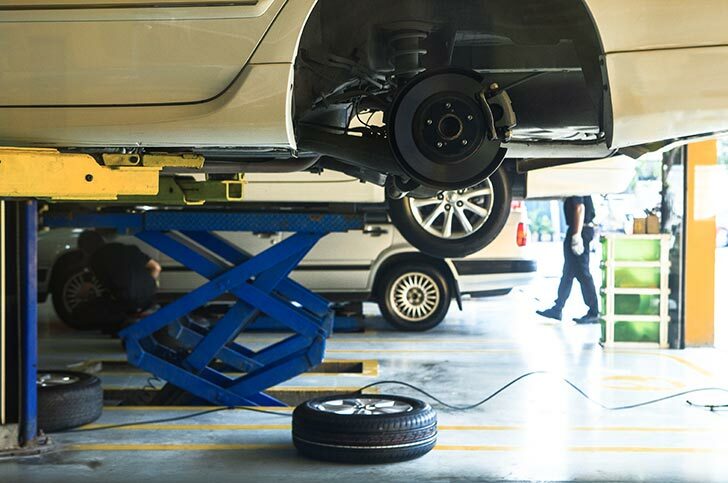 If trips have been feeling a bit rough or bouncy lately, or your tyres are showing some unusual tread wear – it might be time for you to get your suspension system checked out. Your suspension system includes everything from shock absorbers, springs, ball joints, tie rod ends, and suspension bushes – they all need to be in good condition for suspension to be working effectively. Our qualified mechanic can inspect your vehicle’s suspension system and provide any repairs or replacements required to get your vehicle back to peak performance. At Cardiff Car Clinic, we only use quality parts and products and all our work comes with a 12-month warranty. Suspension repairs and replacements are available for all cars and light commercial vehicles.